Tap, Swipe and Hold to the beat as Lyrica grooves onto the Switch! While playing Lyrica, I came to find that its simplicity was its strength. 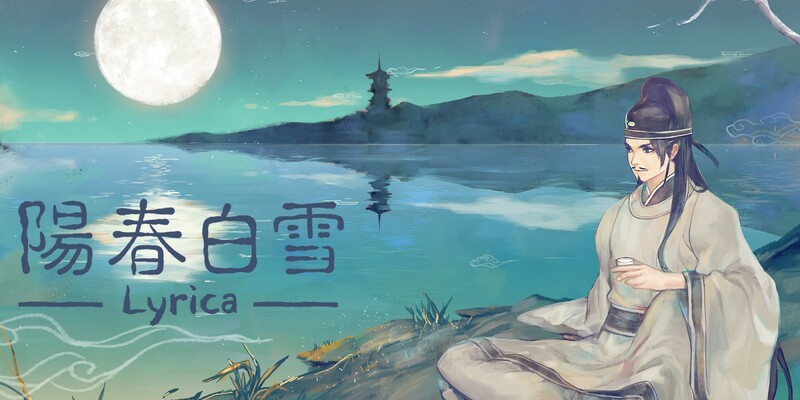 It combines the familiar, fast-paced and addictive feel of traditional rhythm games with a unique perspective on Chinese culture in it’s writing and songs that I found being pulled back into day-after-day. Lyrica is a touchscreen-based rhythm game that has the user touch, drag and tap to the beat of a wide variety of Chinese songs. Sure, it’s premise is similar and likely taken from a mobile game, its place on the Switch feels fresh. While there have been many rhythm games released on the Switch, I found Lyrica being up there with Crypt of the Necrodancer as one of, if not, my favourite music-packed game on the system. It strives and succeeds in combining the fast-paced rhythmic controls of a game like OSU! with the cultural dive and insight offered by games like Mulaka. Lyrica’s story is heart-warming, soft and artistic. While I wasn’t exactly hooked on what was going on most times, the story revolves around Chun, an aspiring musician and artist and by completing levels, you try to score as high as you can to level up, earn new songs, special effects and cutscenes. Every story level felt unique as the win condition was different each time, requiring different specifications to be able to pass to the next part of the story. More often-than-not these were ‘score X points’ or ‘combo X amount’, but the variety in the story missions, along with the soothing music, warm-hearted cutscenes and aspiring dialogue & poetry made for a fairly unique story, and one that I was happy to play through and learn more about multiple times. Along with this, after completing Chun’s story, you get to unlock and play through another character, Yang’s story, too. The main gameplay of Lyrica is simple – in time with the beat, you must tap and drag along symbols on the screen; different icons and symbols meaning different movements. At first, this can sound a little daunting, after playing for a short amount of time, it is fairly easy to distinguish the tap and drag symbols from each other and soon enough, the game becomes reactionary. Allowing players who are familiar enough with the game to be able to clear even the hardest levels on their first try if they have a fast enough reaction time. While the game offers different difficulty settings, Easy, Hard and Master (as standard by most rhythm games), I played the game through on Hard mode, as most of the challenge and heart-racing gameplay lied here. The song choice in Lyrica is excellent – while yes, you won’t find any of the most popular J-Pop or Rap music here, the extensive range of genres and artists is a nice breath of fresh air, especially since a lot of the music is derived from culture and are usually spoken in Mandarin. Besides from the single song mode and the story mode, there is a unique challenge mode to play through, where you will complete requests from strangers and friends to complete songs on set difficulties with a set win condition. While these are similar to how the story mode is played, once completing a quest, the same person will often request another song but harder and with an increased win condition. I managed to get through a lot of the hard mode quests and even a master mode quest before I considered myself beaten – and even after I gave up, there was still a plethora of content in this mode that I see myself coming back to practice and beat in the future. Lyrica’s visual design is unique and interesting. It uses a traditional Chinese art style for not only the main gameplay, but story and menus too. I enjoyed how during a song, the background would show a mandarin symbol and the notes would follow along with it – not only this, but the symbols on the notes generally correspond to the lyrics, with some notes even having English words when the songs have English lyrics. I found the almost traditional story-book style of the game blended really well with the songs used. While Lyrica captured me with its choice of music, as well as the addictive gameplay, there are few issues I had noticed. The game lacks any sort of leaderboard, which would have been welcome if I was able to compare scores to friends or other people – it could have added a competitive element that would have kept bringing me back to the same songs. There is also no song progress meter. Although this isn’t a huge deal, per se, most rhythm games nowadays come equipped with one to let the user know how far they actually have to go and I found some of the songs in Lyrica felt long and I had hoped for a progress bar in songs like these. Aside from those issues, I was pleased to find Lyrica had an extensive options menu, equipped with speed modifiers, tap volume, sound effects and visual effect sliders and welcome enough, a correctable input timer in case you prefer playing with a slight tap delay. Achievements are also included, which gave me some great milestones to work towards as I played, unlocking new pointers and visual effects. As a rhythm game, Lyrica is amazing in my book. The songs may not be the most popular, it’s usually uncommon insight and look into Chinese culture was a welcome experience. I enjoyed almost every song and some I kept going back to master. Lyrica is easy to pick up, yet hard to master and games like that always have the replayability that is needed for a smaller game like this, especially in the rhythm genre.